Start saving your appetite, Muggles! You’re going to want to be hungry enough to eat a Hippogriff when this event rolls into town. From the creators behind the Hot Tub Movie Night, Legobar, and Ball Pit, it’s finally almost time for the Wizards’ Brunch planned for Vancouver to commence. You can still buy tickets to the February 9 brunch (12:30 to 3:30 pm) and the 18+ only dinner (7 to 10:30 pm), as well as to the 19+ After Dinner Wizards’ Disco from 10:30 pm to 1 am. People who buy tickets to the dinner already have access to the disco and do not need to buy the additional $40 ticket. Tickets range from $185 – $215 for the meals, which include a three-course meal and one drink per person, plus all the events and celebrations throughout their seating. There will also be a cash bar available on site at this event. 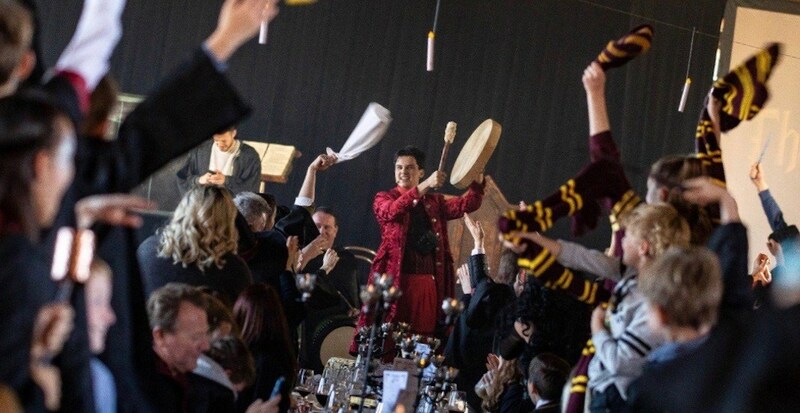 In the past organizers have run successful events in Australia and posted this video to give Muggles a glimpse of the magic they’ll be in for at the themed brunch, dinner, and afterparty.